Q: What is clinical research? A: A clinical trial is a research study sponsored by a pharmaceutical company to evaluate the safety and effectiveness of an experimental medical device, treatment, or medication. After showing benefit in the laboratory, new treatments must be tested among small groups of people to determine the proper dose and to test safety. After a dose has been determined, the dose is tested on large groups of volunteers to evaluate the safety and effectiveness of the treatment for a specific condition, such as eczema, psoriasis, or acne. Q: Why is clinical research performed? A: The Food and Drug Administration (FDA) requires pharmaceutical companies to conduct clinical trials before new treatments can be made available to the public for prescription or over-the-counter use. 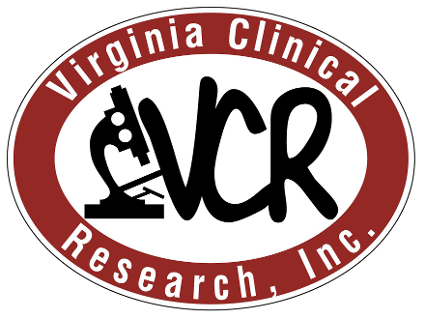 Clinical trials are carefully monitored under the FDA's strict regulations. Clinical trials are important to ensure that people receive safe and effective treatments. The trials provide a way to develop new treatments that are as effective, more effective, or safer than treatments already on the market. The trials also make it possible to develop new treatments for conditions that currently have no treatments available. Q: How does a person become involved? A: Once a patient contacts a research site, the caller will usually have a brief telephone interview to determine if he or she would likely be a good candidate for the study. A screening visit may then be scheduled for the candidate to discuss the trial in more detail and to further screen the candidate for qualification, possibly resulting in study enrollment. Q: What are the responsibilities of the participant? A: The participant must give a full and accurate medical history regarding past and current medical conditions, illnesses, and all medications used currently and in the recent past. The participant must follow all directions regarding the use of the study medication, and return all medication upon the completion of the study. They must attend all scheduled appointments to ensure that the study doctor monitors the progress of the participant. Q: What are the costs associated with participation? A: There is no cost to participate in a clinical trial. All study medication and study related office visits, procedures, and laboratory tests are provided at no cost to the participant. Financial compensation is available for those who qualify at the completion of the trial.